The Inventek ANTDOM3333-01-SMA-UWB Navigation Antenna supports Inventek’s ISM3333 GPS/GLONASS/BEIDOU/GALILEO Module. 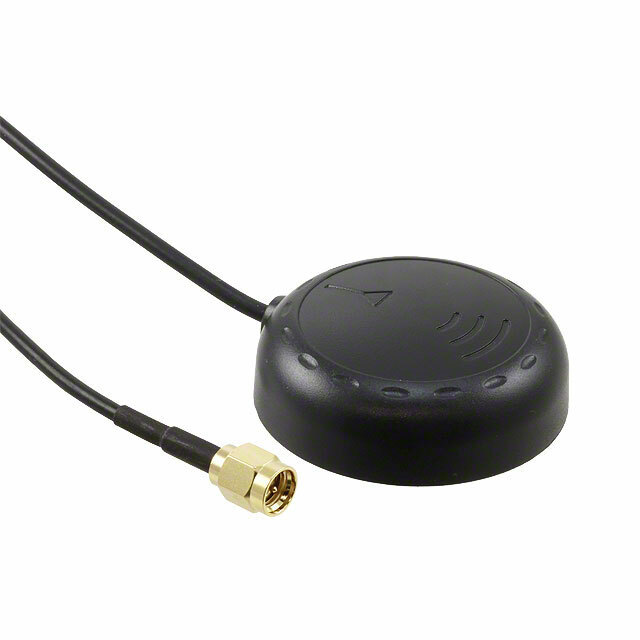 The ANTDOM3333-01-SMA-UWB Navigation Antenna supports a Return Loss of <10dB. Including highly improved accuracy performance with a low axial ratio over the band coverage. Additional features include RHCP, IP67 Water/Dust proof and customizable peripherals such as Magnet, adhesive and 5 meter cable length with an SMA connector. All cable lengths and connectors are also customizable. The Inventek ANTDOM3333-01-SMA-UWB Navigation Antenna also includes an integrated LNA for maximum noise reduction and high gain support. This ceramic dual pin patch antenna has excellent stability and sensitivity through the use of high performance proprietary ceramic materials and processes. The ANTDOM3333-01-SMA-UWB Navigation Antenna also supports low power consumption. DC input of 1.8v~6v and current consumption of 5.5~6.5mA.